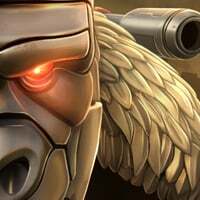 Best Tech to increase sig ability? ...which signatures are most worth raising? My main team is Beast Wars and I use Rhinox more than all the other Techs combined. But I want to put together a strong alt team with non-BW bots. That makes me think maybe Shockwave is the best bet. What do you guys think? LOL, can't believe I forgot to include Wheeljack in the list. Yeah, obvs WJ is a top contender. I use him as the Tech on my Mission team, and my profile pic, and memeing. His tilted pic makes for really good memeing. Ratchets is a strange one, mainly because I don't know the figures involved. Same with Shockwave. 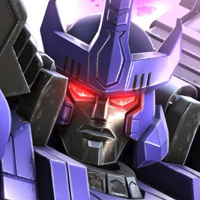 Soundwave gets really really reliable and good at the really high levels and you can use it to completely alter playstyle. I imagine the same to be true of Blaster, but I haven't tested it. Mirage is the same, you can really feel the effect of his sig at higher levels - especially on s1. Jetfire is only good if you use him and the skill to use him - high sig Jetfire has some serious staying power. 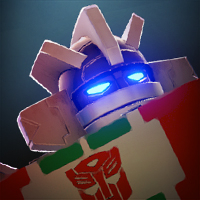 Wheeljack I feel is less important - more important to have nanorepair. There are only two a few tech bots that govw great returns beyond Sig 1. Of those 4, all except mirage only have good payoffs at very high Sig. Mirage basically gets 3 for 1 return on his Sig ability, and it scales incredibly well making it well worth the Sig programs. 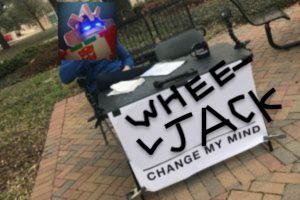 WJ only needs to be awakened, realistically. Shockwave Sig is kinda meh unless you have 60+ sig, and same goes for the rest. Not really true for WJ and speaking as I use him in main teams. After nano repair the high sig can prevent all damage from long specials and greatly helps charging your own s3 after nano wears off. Perfect example is AM lane 2.2 and HR s3. Made him far easier once you have the shield for the whole animation. Unless of course your using him as a max 5*. IMO it’s tied between SW WJ and Mirage. All depends on who you use. Fought a shockwave at sig 92 on a base with robot resource. If you know what i mean. So my vote goes for shockwave or either soundwave because their sig ability makes them annoying to fight against. Well, I would say pretty much any bot is annoying with robot resource. Well, maybe except for possibly Soundwave because he likes to use that sp2 (but haven’t faced him sitting on RR so I don’t know if it’s any different). It’s Wheeljack or shockwave but I like fighting with shockwave better. Wheeljack is better on base. Even at this sig, his UNDO tends to be a bit unreliable. It seems to hit when you have no damage and never hits when you need it. Lol I actually scribbled it on. wheeljacks sig length is pointless if you use nano, as it just reactivates. Unless you get caught by DoT I guess. I still believe Soundwaves gives the most benefit - you can change your play style as it increases, don't think any other bot plays like that. Just to follow up on this, I ended up using the sig increases on Soundwave, a bot I don't currently use at all. But that might change as I level up his signature. At this sig level Soundwave has saved me more than once, I think you made the right choice! Mirage, Ratchet, Rhinox or Wheeljack are all the best Tech bots. I wouldn't consider Jetfire because his health and damage is terrible. The waves are a maybe, however. Mirage's sig gives him a sort of attack buff (SP1 = Ranged, SP2 = Unblockable Melee, SP3 = Attack buffs[When dodging]). They're super useful and help out a bunch. Rhinox is a mix between damage reduction and dishing out damage. His bleeds and removal of attack buffs makes him a good counter to buff reliant bots (Brawlers, Demos, a few Warriors, etc). His shields are also helpful when you get hit by a special attack. Ratchet is the damage counter with his obvious repair buffs. Very useful in all scenarios, but his damage is kinda poor. 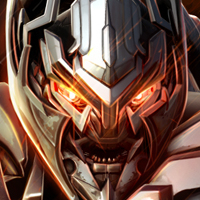 Wheeljack is the ultimate tank without needing much health. Nano repair and his upgrades makes him one of the best fighters. In simpler terms, WHEELJACK ALL THE WAY.